Kakaban island lies off the east coast of Kalimantan and is home to the famous jellyfish lake of Borneo. The reefs around this gorgeous uninhabited island offer fantastic diving where we had great sightings of Thresher and Nurse sharks along with lots of black and white tips. In between dives it possibly has the world’ best place for a surface interval ! In the middle of Kakaban island is a huge lake which covers nearly two thirds of the island. Formed thousands of years ago this brackish lake contains millions of jellyfish. 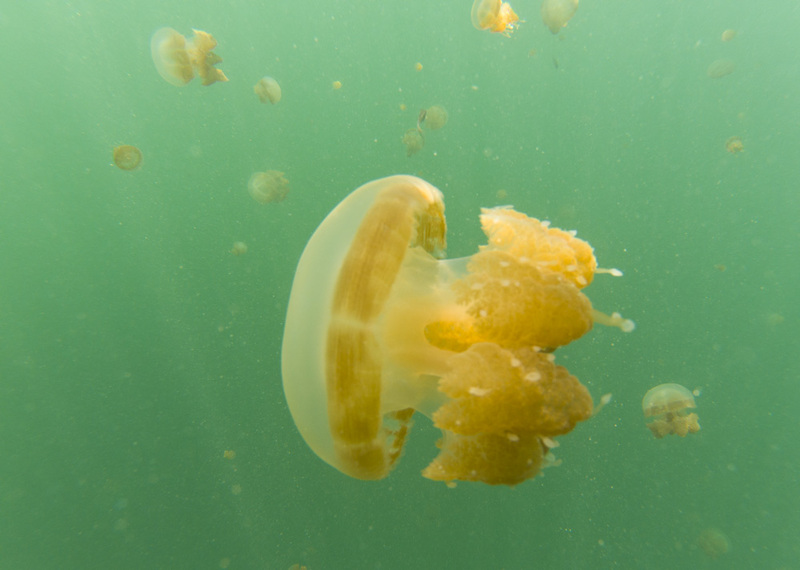 As the jellyfish have no natural predators they’ve evolved over a long time to lose their stings. 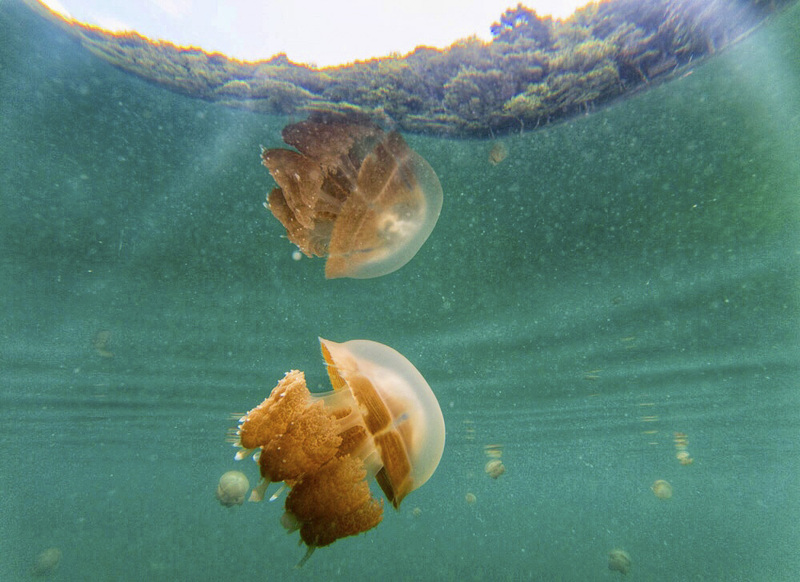 It’s an odd feeling swimming in the lake surrounded by them including Box jellyfish which are normally one of the most deadly creatures on our planet. The water in this lake contains a huge amount of algae which sustains such a vast population of jellyfish which spend their day following the sun and feasting on the algae. 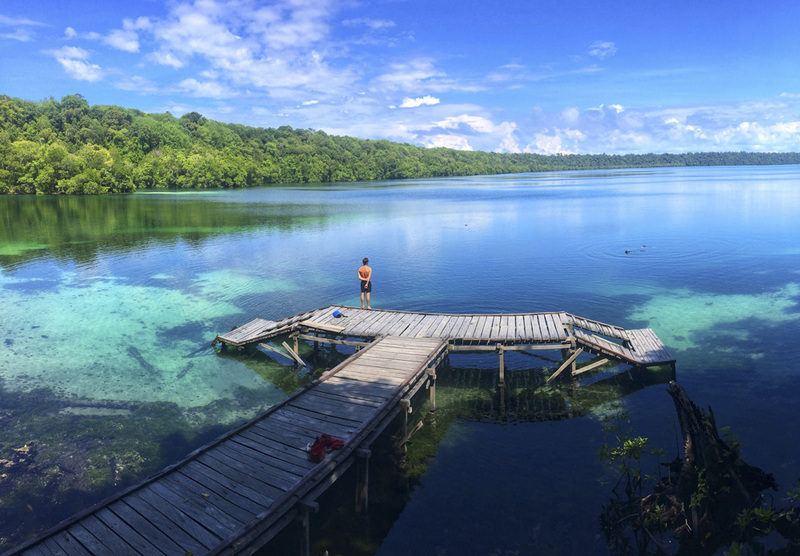 Kakaban jellyfish lake is well protected with a small park office which charges you a nominal amout to enter. Most visitors come here as part of their dive trip usually based on Derwan island which is about an hour away by boat. There’s further information including photos and video of diving this region here.